• Bio-Green waste digester breads down human waste and even toilet paper. • Comes in soluble no-mess pre-measured pouches. Bio-Green Waste Digester, has the same amazing gelation powder found in our Double Doodie bags. When you don’t want to mess around with toilet waste or odor. Bio-Green Waste Digester solidifies toilet waste into a gelatin, masking odors and making it much easier to transport and/or clean your portable toilet. Bio-Green Waste Digester comes with 12oz of gelatin powder and a 1oz re-usable scoop to easy pouring. Its the dry powder digester that breaks down human waste and even toilet tissue. 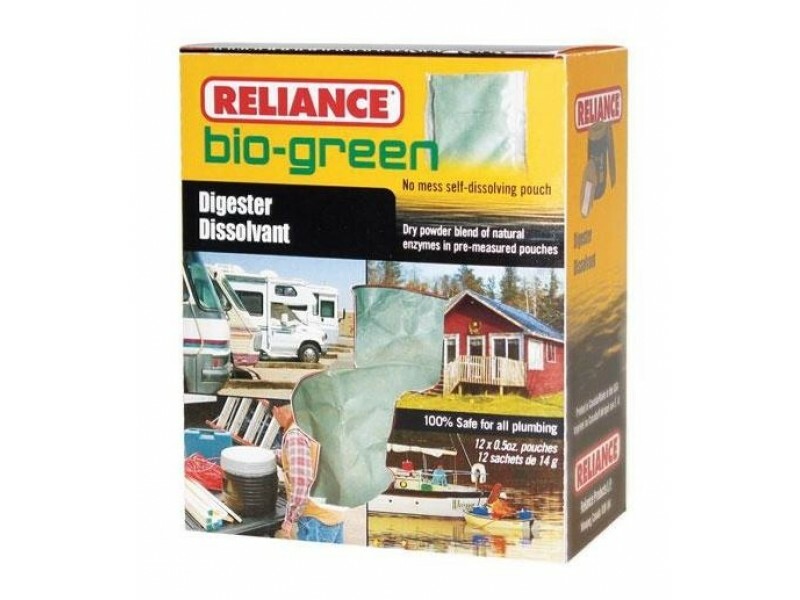 Every package of Bio-Green comes with 12 no mess, self-dissolving, single dose pouches that you simply place in the holding tank of your toilet before or after use. Bio-Green Waste Digester includes 12 pouches per box.